This book helps you answer two basic questions, “How do I make my scripture study more effective?” and “What should I study today?” It is provided as a guide to help you, and your family, during your daily devotional. 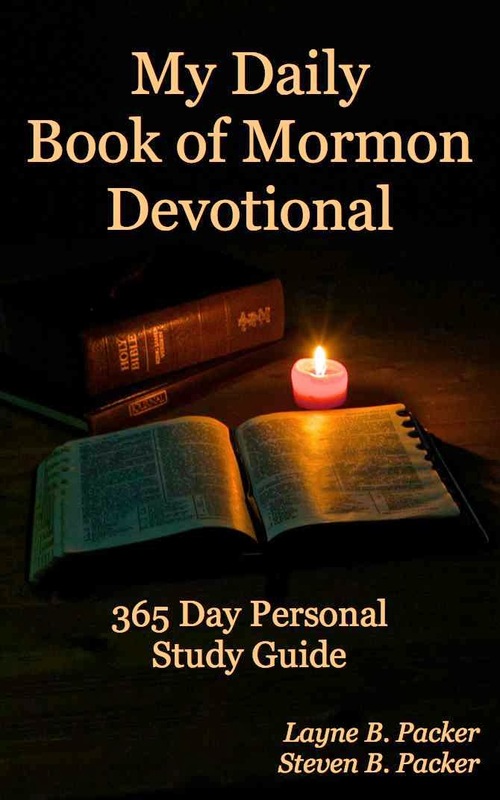 There are many Book of Mormon commentaries and study guides available that give the author’s perspective on the Book of Mormon. This book is not one of them. The great truths of the Book of Mormon, particularly those that will be of greatest benefit to you, are found by going directly to the source. The study guide allows you to fully customize your daily devotional based on the amount of time you have available. It is divided into seven activities: Read, Look For, Ask Yourself, Ponder This Quote, Expand Your Understanding, Personal Application, and Prayer. This format allows you to select those activities that match both your needs and your time. For example, if you find you have limited time on a particular day you may only want to read the assignment and pray. On other days you can use the additional activities to expand your study and deepen your understanding. "And so, I counsel you, my beloved brothers and sisters and friends everywhere, to make reading in the Book of Mormon a few minutes each day a lifelong practice. All of us need continuing close contact with the Spirit of the Lord. We need to take the Holy Spirit for our guide that we be not deceived. I am persuaded by my own experience and that of my loved ones, as well as by the statement of the Prophet Joseph Smith, that one can get and keep closer to the Lord by reading the Book of Mormon than by reading any other Book. Don't be content with what someone else says about what is in it. Drink deeply from the divine fountain itself.